MapToGenome: a comparative genomic tool that aligns transcript maps to sequenced genomes. Title MapToGenome: a comparative genomic tool that aligns transcript maps to sequenced genomes. 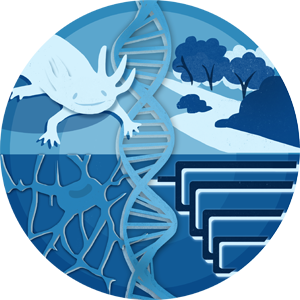 Efforts to generate whole genome assemblies and dense genetic maps have provided a wealth of gene positional information for several vertebrate species. Comparing the relative location of orthologous genes among these genomes provides perspective on genome evolution and can aid in translating genetic information between distantly related organisms. However, large-scale comparisons between genetic maps and genome assemblies can prove challenging because genetic markers are commonly derived from transcribed sequences that are incompletely and variably annotated. We developed the program MapToGenome as a tool for comparing transcript maps and genome assemblies. MapToGenome processes sequence alignments between mapped transcripts and whole genome sequence while accounting for the presence of intronic sequences, and assigns orthology based on user-defined parameters. To illustrate the utility of this program, we used MapToGenome to process alignments between vertebrate genetic maps and genome assemblies 1) self/self alignments for maps and assemblies of the rat and zebrafish genome; 2) alignments between vertebrate transcript maps (rat, salamander, zebrafish, and medaka) and the chicken genome; and 3) alignments of the medaka and zebrafish maps to the pufferfish (Tetraodon nigroviridis) genome. Our results show that map-genome alignments can be improved by combining alignments across presumptive intron breaks and ignoring alignments for simple sequence length polymorphism (SSLP) marker sequences. Comparisons between vertebrate maps and genomes reveal broad patterns of conservation among vertebrate genomes and the differential effects of genome rearrangement over time and across lineages.